As you can see we’ve not updated the website in a very long time. We’re still here and we will be filling you in soon on a developing initiative − MEGA − Making Elma Great Again! Oh yes, and Happy Spring! Well a lot is going on here! 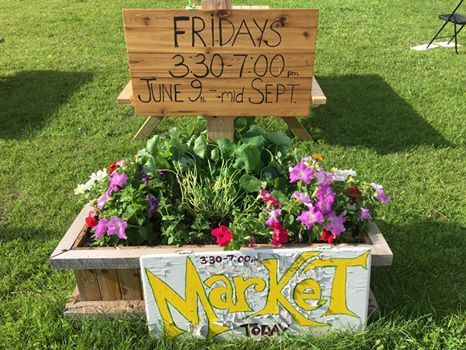 Firstly friends Randa Jag and Noel Martin have opened up their lot, an historical site, for the new Elma Farmer’s Market every Friday from 3:30 pm to 7 pm on Highway 15 just west of the Highway 11 intersection. This is a wonderful little market full of good people and great vibes! Stop in on the way to the lake… we’ll be here! JUST Community Market Co-op has a table with some of their producer members and associates – Paulette LaFortune – Sweet Spot Productions / Sweet Earth Gardens and Brad Fenwick. You’ll be able to find bedding plants of course, home-baked goods such as wheat tortillas, June’s Wartime Cookies, and banana bread. This week look for vegan basil pesto and dried and dehydrated heirloom hot peppers! Sweet Earth Gardens continues to support local Manitoba producers such as The Berry Works – natural wheat berries for sprouting or grinding; Trail’s End Coffee – artisan roasted organic coffee varieties and Tamarack Farms – Manitoba-grown nutty brown quinoa, quinoa flour and pancake mix. You can also order other grocery items such as Numi Organic Teas, and Nature’s Cargo Salts. Please inquire at the table! Also on Saturday, the Co-op is setting up at Whitemouth River Paddle Day in Seven Sisters from 11 to 3 pm. Drop in for a visit and enjoy some “Paddle Power” Cookies! Full of organic goodness and a high energy boost after an afternoon paddle! For more info about this event, please visit the following link on Facebook… Whitemouth River Paddle Day. One more bit of good news… The Elma Community Club has recently elected a new Board of Directors. We are excited as the future of this little community is coming together to build a strong foundation for our future generations! Had a great time at the Mary Jane’s Cooking School 7th Annual Garden Party Fundraiser! It is officially our first season back and we are pleased to say that it went well. Download the most recent version of the catalogue for more information. Please note that perennial herbs will be re-stocked later in the summer as we will be seeding more and also doing root cuttings of certain varieties. Thanks and see you at The Spicy Radish in Whitemouth on Saturday, June 4th from 9 to 1 pm! 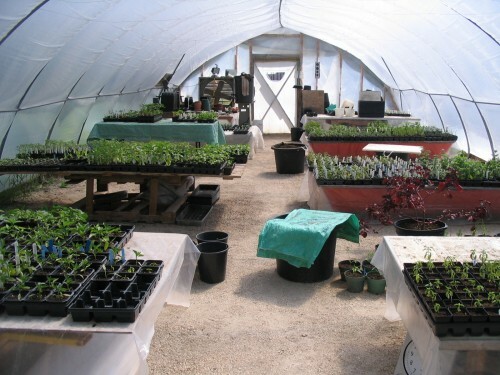 We’ll be selling bedding plants, Tamarack Farms “Manitoba-Grown” quinoa and Trail’s End Coffee’s organic line of coffee! Go to the JUST Bedding Plants tab for regular updates about availability! See you tomorrow at Mary Jane’s Cooking School 7th Annual Garden Party Fundraiser!